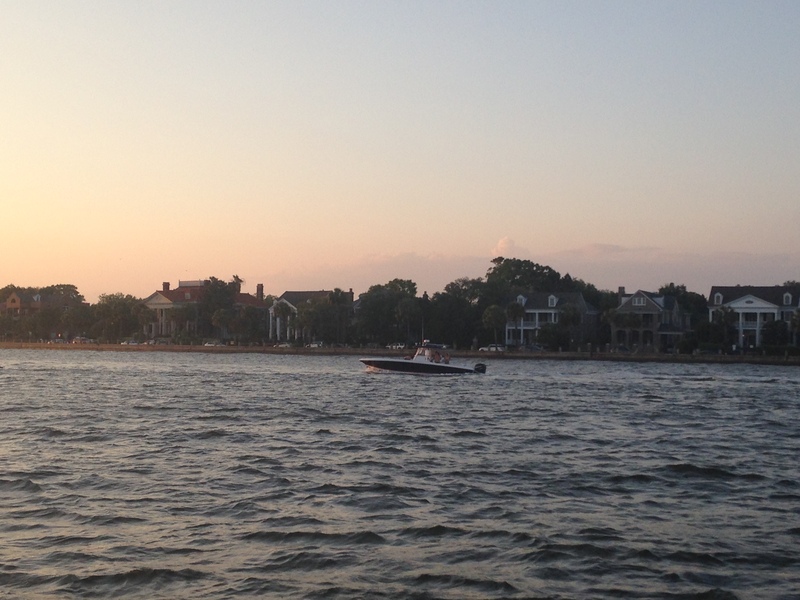 Although it is a bit of a geriatric activity, we decided to take a sunset cruise of the harbor on my last night in town. After some quick Google research, I quickly learned that there were not many available on Sunday nights a few hours before they set sail. The weather also looked ominous all day; there was a quick thunderstorm that afternoon. Would it even be worth buying tickets? 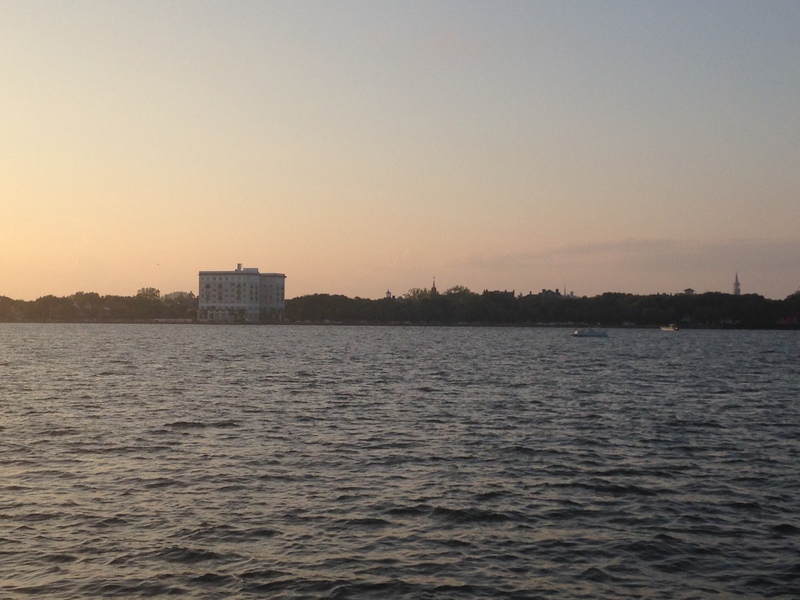 In the end, we went with the Schooner Pride cruise. It was absolutely worth the cost of the ticket. We set sail around 6:00pm that evening from a pier near the aquarium for a two-hour crusie. 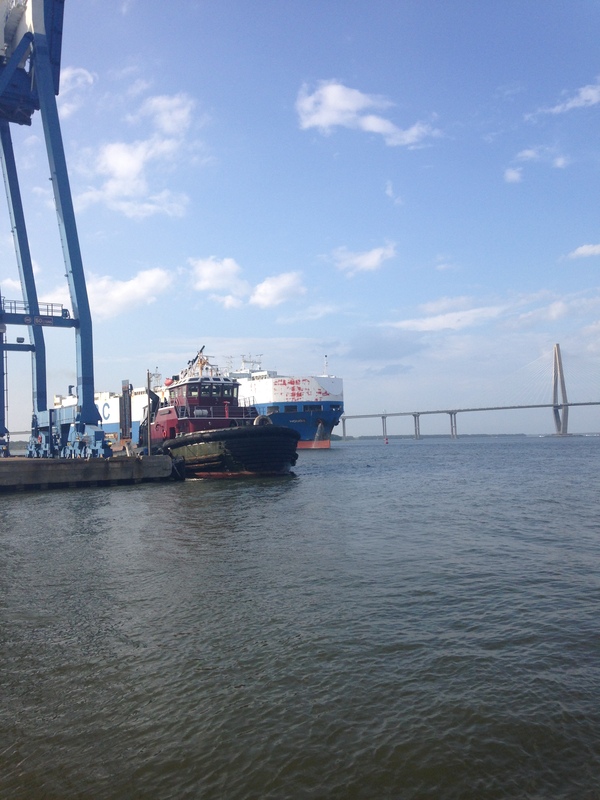 Here you can see a giant freight ship as Charleston is one of the busiest ports in the country. In the background is the Ravines Suspension bridge, which connects downtown Charleston to Mount Pleasant. Leaving the harbor! That is not Fort Sumter. It could be Castle Pinckney? I never did figure that out. There wasn’t a narrated tour, which made for a very pleasant ride (although a few sights slipped through the cracks). After a bit, the crew cut the engines so that we could hoist the sails. They called for volunteers, and I got to help with the main sail. It was not easy. That thing is heavy! It also requires two people to make sure that it goes up evenly. From the angle where I was standing, it looked even but apparently I was moving too slow. Eventually, we managed just fine! After all of that hard work, I enjoyed a nice airplane bottle of white wine. They also had beer, soda, and champagne for sale along with snacks. 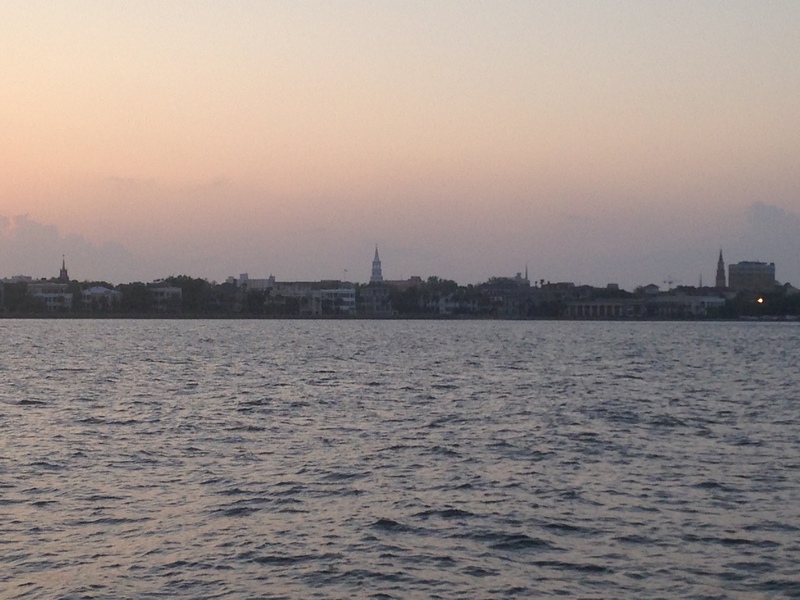 A sunset shot of the Charleston skyline. Using my handy brochure they gave us, I think I can identify a few buildings. The large one could be the Frohling building. The spire might be the St. Matthew Lutheran Church. You can see why Charleston is nicknamed the Holy City when you see how many spires are clear along the skyline! Here is the Ravenel again as the sun is going down. Eventually, I will walk that bridge. It just hasn’t happened yet. 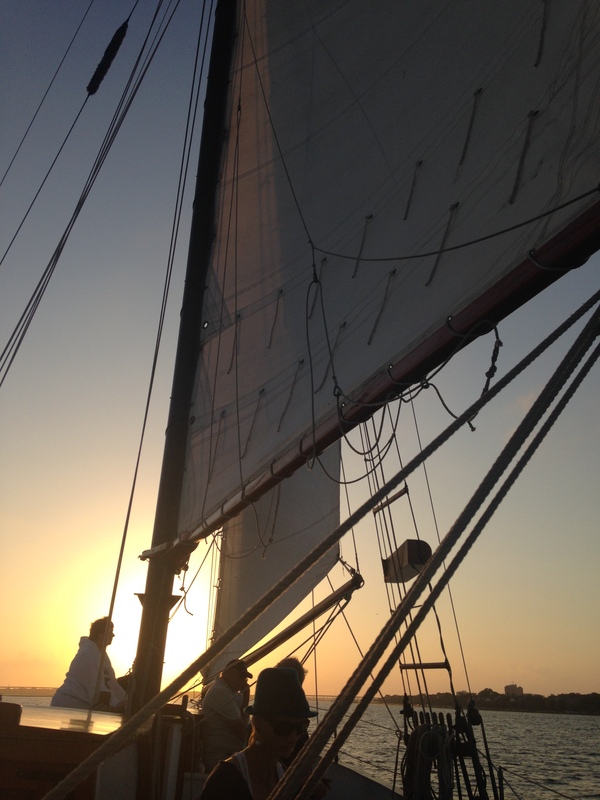 The sails of the schooner against the sunset. 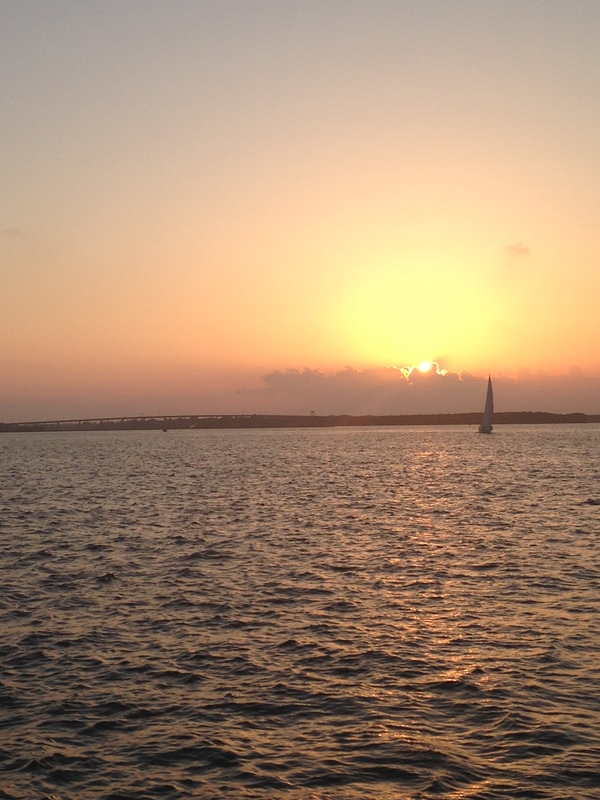 Look how romantic sailboats look in the sunset! I’m pretty sure this is the Battery, a neighborhood in downtown Charleston. These are some of the largest, stateliest homes in the city. If it isn’t the Battery, those are different coastal houses. 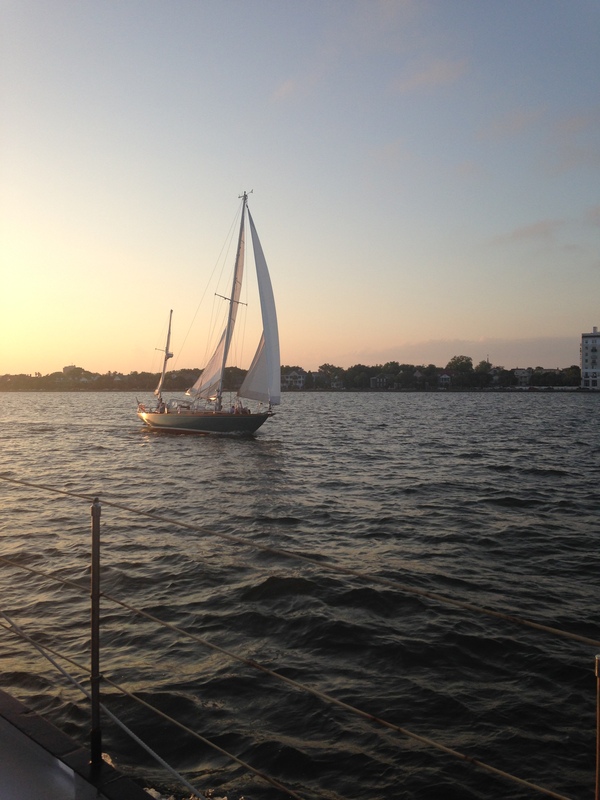 More proof about how awesome sailboats look in the sunset, just in case you weren’t sold. 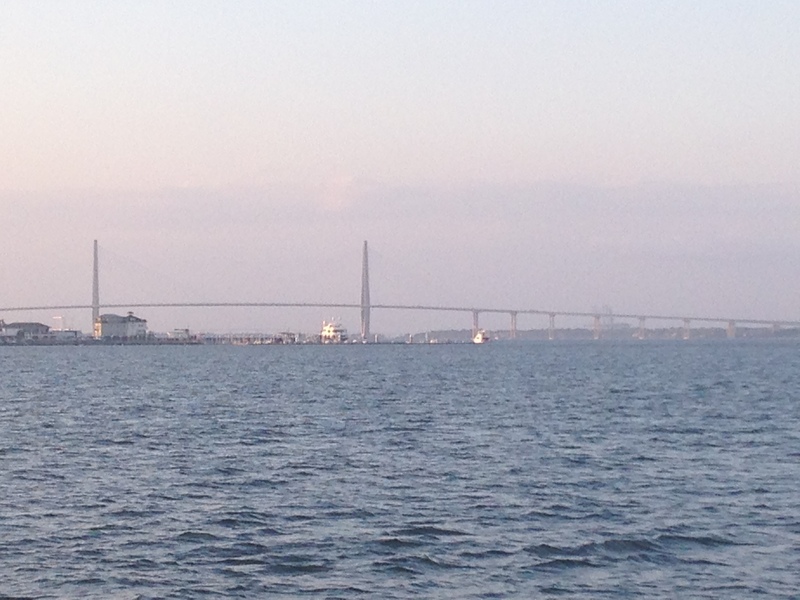 Here is a slightly different angle for the downtown Charleston coastline/skyline at sunset. Overall, the cruise was a lot of fun. The weather ended up being perfect. I needed a sweater but never felt freezing. 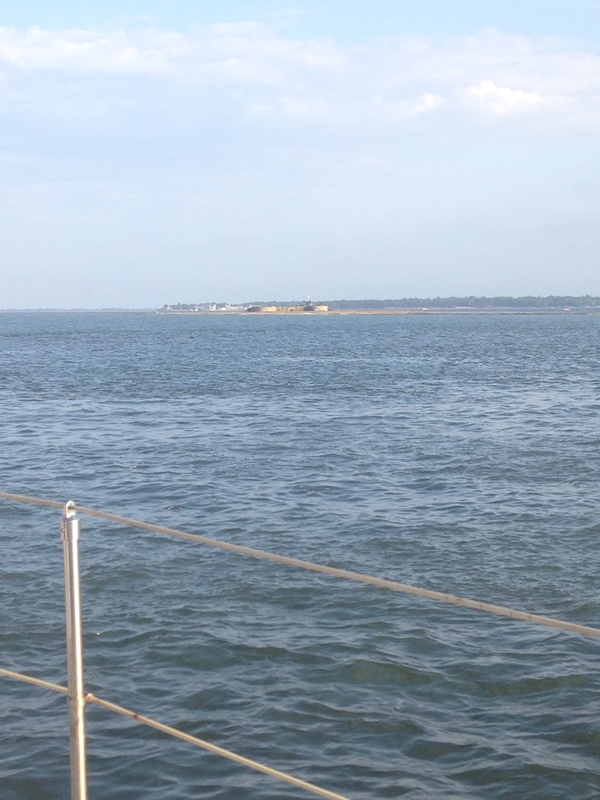 The crew was quite skilled and very knowledgeable about both their ship and Charleston history. I liked that they encouraged everyone to ask them questions and were excited to talk and mingle with the guests. 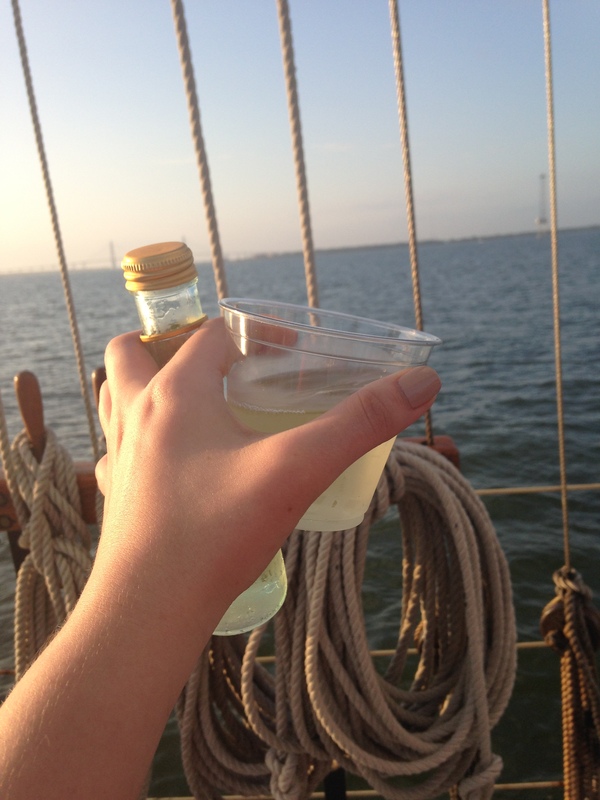 There aren’t many things more relaxing than a glass of wine out on the water!